They're Coming this Summer! 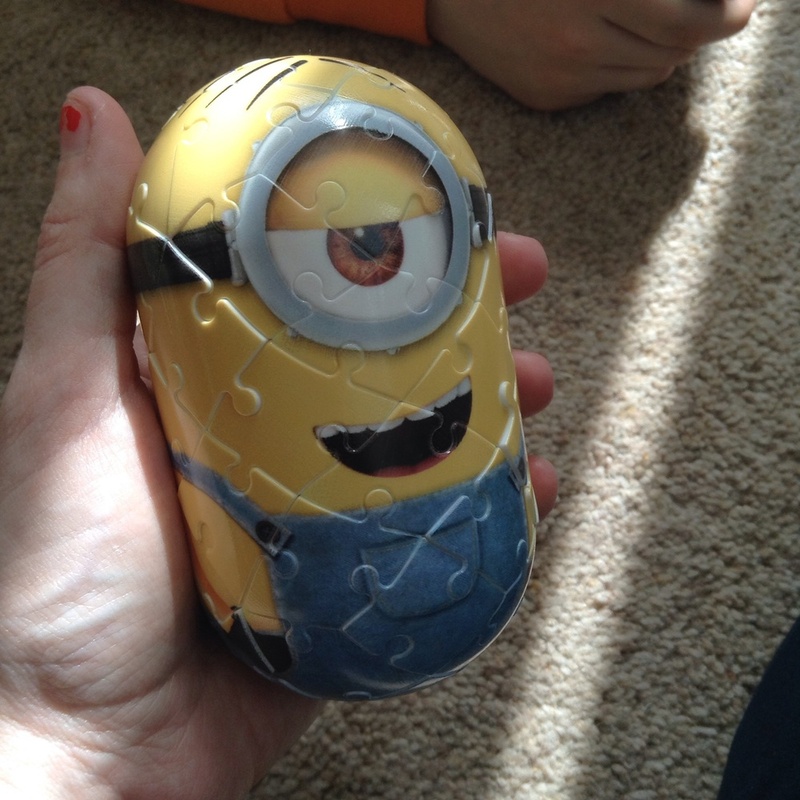 Ravensburger Minion 3D Jigsaw. I haven't put together a jigsaw puzzle in years, and I've never attempted a 3D one, so this was a fun review to do. The Minions from the Despicable Me series have their own movie coming out this summer, so the shops are due to be swamped in yellow Tic Tac shaped fellows in blue overalls. In fact EVEN Tic Tacs are bringing out limited edition banana sweets in celebration of their lookalikes. 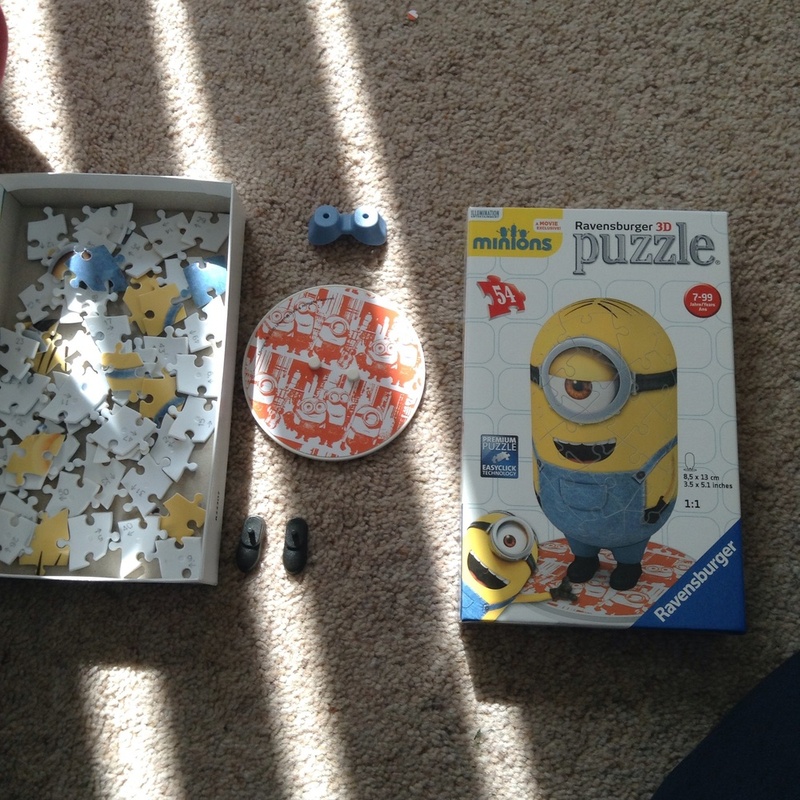 3D jigsaws come with numbered pieces which you put together in turn. It was a little fiddly but only took ten minutes for a puzzle this size. Would be a great present for a birthday boy or girl.